Women on Mission - KENTUCKY WOMANS MISSIONARY UNION, INC.
women are making an eternal impact. join us. Women on Mission is ongoing missions involvement and learning that extends across the globe. Missions opportunities, learning materials and many free resources have been created to help adult women develop a missions lifestyle. Contact Wanda Walker at Kentucky WMU for more information about missions for women or to learn more about starting Women on Mission in your church! Leadership training and development for Women on Mission Leaders is provided at Excel every other summer. Have younger ladies or college students in your church? 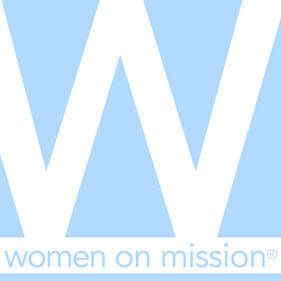 myMISSION is a WMU organization for younger women (18-35). If you love missions and you're not receiving Missions Mosaic, then you're missing out! NewHopeDigital.com is an innovative Web venture from New Hope Publishers that provides readers and retailers with fresh, magazine-style content from top authors in multiple digital formats.